So last week I looked down at my arm in dismay as there just below my elbow on my inner arm was a fresh patch of eczema. I've suffered with eczema since I was 10, so nearly 13 years! I would get large patches on my thighs and my inner arms, they were so itchy and red that it would destroy my confidence. I would notice people staring at it (not cool by the way) and it made me so paranoid that I was only able to wear short sleeves about three years ago. I tried many creams and tricks to get rid of it and although some relieved it slightly none ever got rid of it completely. It took me until the age of 21 to figure that my eczema was being caused by stress I have always been someone who stresses and this seemed to be how my body showed it. So I knew that once I dealt with my stress I would be able to deal with my eczema. And I was right when I began to work on my stress and relax more, if I caught myself getting too worked up I would put on some calming music, mediate or go for a walk. I found the creams worked better and gradually my eczema started to clear (leaving behind some scars but after having eczema for so long I wasn't really surprised. Of course I'm gutted that a patch has returned but now I know that I just have to try and stop stressing so much and focusing on relaxing instead. E45 cream really helps soothes aggravated skin and reduces the redness of the eczema. It moistures the dry skin but doesn't leave it feeling greasy. My nan introduced me to this, yes crocodile oil from crocodile fat. Sounds gross but works wonders crocodile oil contains vitamins and olecis acid which helps the skin repair itself It really does work wonders the oil is a by product which usually thrown away. 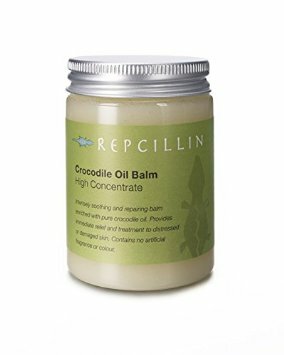 Some crocodile oil is ethically harvested but I still have my misgivings about it. 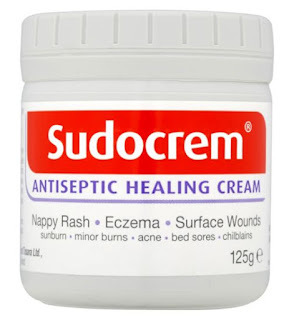 Yep, this is predominately used for nappy rash, but hey, it helps! Sudocrem covers the irritated area with a protective barrier so your clothes don't make the eczema more itchy. 1. Don't scratch! It may seem obvious and sometimes impossible at times but no matter how much it itches, don't scratch it! If your scratch your eczema it will only aggravate the skin more. 2.Try to relax more. Eczema if often caused by stress, so when you are feeling anxious try reading, colouring, getting some fresh air, whatever it is that helps you relax. 3. Avoid itchy material, some materials can aggravate eczema and make it even more itchy so it's bets if you avoid them or wear loser material on effected areas. 4. Try natural products before you use steroids cream. Doctors will often prescribe creams which contain steroids. While these creams will work (in most cases) steroids thin the skin. Try more natural options before you try steroid cream. 5.Use an unscented moisturiser. Keeping your skin moisturised is important especially if you suffer with eczema. But sometimes moisturisers contain chemicals which can make eczema worse. Try a moisturiser that doesn't contain additives or chemicals. I hope this post was helpful if you suffer with eczema. What are your tips? 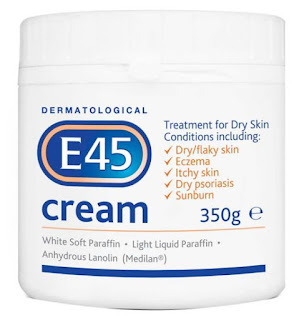 What products do you use to help with eczema?